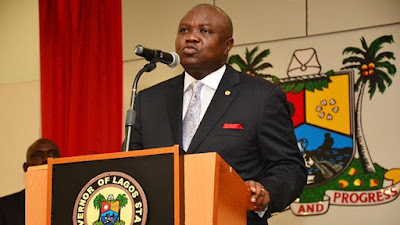 The Lagos State Internal Revenue Service (LIRS) has shut 18 hotels, restaurants and event centers for failure to pay their taxes due under the Hotel Occupancy and Restaurant Consumption Laws of Lagos State 2009. The Director Legal Services of the LIRS, Mr. Seyi Alade, on Friday 17 November 2017 during the state-wide tax enforcement exercise, warned that defaulting Hotels, Restaurants and Event Centers will henceforth face the full wrath of the law if they fail to deduct and remit their taxes as provided by the law. He promised to release in due course the names of the entities affected by the enforcement exercise. According to him, failure to deduct and remit taxes as at when due attracts very serious penalties that may lead to the sealing, seizure of the goods and chattels and criminal prosecution of principal officers of recalcitrant entities. He said the LIRS usually gives a long rope by issuing multiple notices to the taxpayers to inform and also remind them of their tax liabilities adding that only recalcitrant taxpayers are shut down as in the present case. He therefore urged all business entities operating in the state to ensure prompt remittance of their taxes to avoid costly disruptions on their businesses as a result of a distrain exercise. » DMX In Tax Evasion Soup!! !